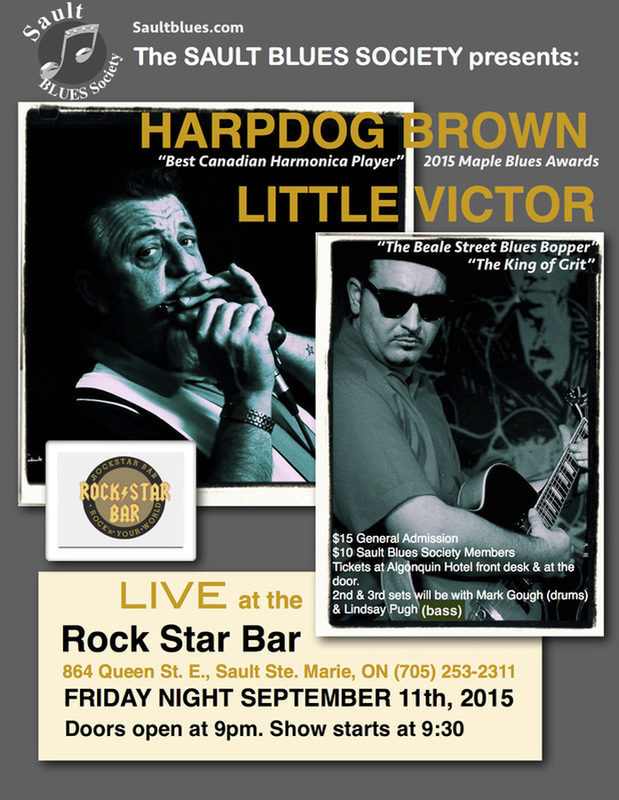 On Friday, September 11, the Sault Blues Society is pleased to present a double bill with Harpdog Brown and Little Victor at the Rockstar Bar. "Harpdog Brown is a character larger than life and one of the best blues harp player to be found anywhere," stated a recent news release issued by the Sault Blues Society. A staple in the Canadian blues scene since 1982, Harpdog Brown has six albums under his belt, including 1995's Home is Where The Harp Is which garnered him the coveted Muddy Award for the best NW Blues Release of the Year presented by the Cascade Blues Association of Portland, Oregon. That same year, he received a Juno Award nomination for Best Blues/Gospel Album. Described as "a mix of real-deal blues and cabaret stage antics," Friday's Sault stop is part of Little Victor's very first Canadian tour after living in Europe and working with the likes of Louisiana Red, Hubert Sumlin, R.L. Burnside, Robert Belfour and numerous others. Harpdog Brown and Little Victor will be joined on stage by locals Lindsay Pugh and Mark Gough. Admission is $15 for the general public and $10 for Sault Blues Society members. Tickets are available at the Algonquin Hotel front desk (864 Queen Street East) or at the door. To learn more about Harpdog Brown, please click here. For more about Little Victor, please click here. To keep up-to-date on all Sault Blues Society events and initiatives, visit them here.